Fresh Roasting is just as important as the quality of the bean. When a baker bakes a fine quality loaf, there is no comparison between its flavour right out of the oven and two weeks later. It is the same with coffee - freshness is No.1. 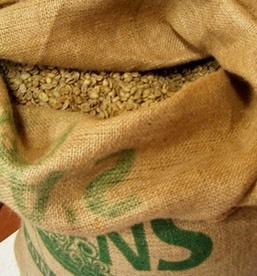 The green coffee beans are similar to small green pebbles. They are extremely hard, tasteless, and can be stored for long periods. 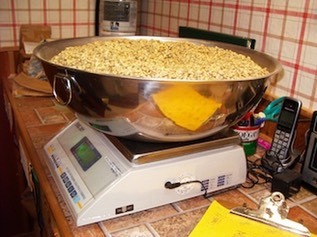 During roasting they gradually turn brown, 'pop' into a bigger size and become lighter. This magical process releases the wonderful flavour, aroma, and oils. Unfortunately these flavours and aromas are extremely volatile. In fact, coffee is at its peak a mere two hours after roasting. A second burst of aroma and flavour is released as soon as the coffee is ground, and a third burst is released when the coffee is brewed. That is why it is so important to not only start with the best quality coffee but also to buy it as freshly roasted as possible, grind it yourself just before brewing, and use it while it is still fresh. We recommend buying only as much as you need for the near future, about a month's supply at most. Another most important consideration is the roasting itself. 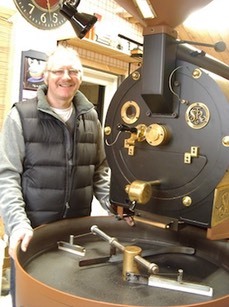 There are actually two "roasters" - the art and skill of the "human roastmaster" combined with the design and experience of the "machine roaster" make as much difference to the coffee as the Chef and stove to a meal. 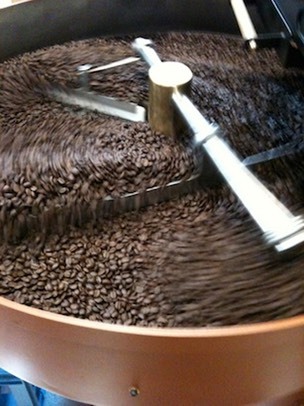 Some roasters don't roast the coffee long enough to develop all of the flavors. Others roast too much making all of the coffee taste alike. 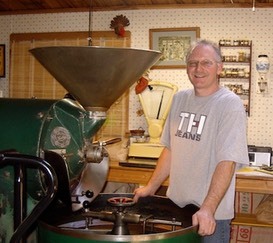 We have two of the best roasters - they are Pierre, who was taught by Gene and has been doing a fantastic job for twelve years. Dear old Gertrude, who turned out great coffee since 1953 is now retired and we have a big new roaster named Ferdinand* carrying on her tradition. The beans will be ready for roasting after Pierre hand picks through the bowl to be sure there are no rocks, pieces of burlap, bad beans or anything else that doesn't belong!